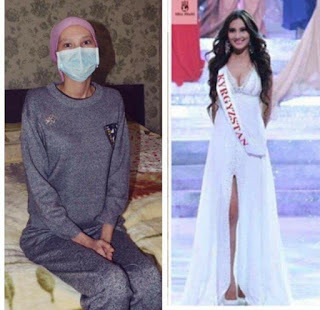 Eye For Beauty Blog is sad to report about the tragic story of Zhibek Nukeeva, Miss Kyrgyzstan 2013, who represented her country at the 63rd Miss World Pageant in Indonesia, which was won by Megan Young from the Philippines. We don't just want to report on a heartbreaking story, but this is also an urgent plea to call on all fans, directors and organisations who can to help make a difference in this young woman's life. I promise to also make a donation myself. Every drop in the bucket will help to give this young woman a shot at enjoying this great gift we all have, life, for a while longer. 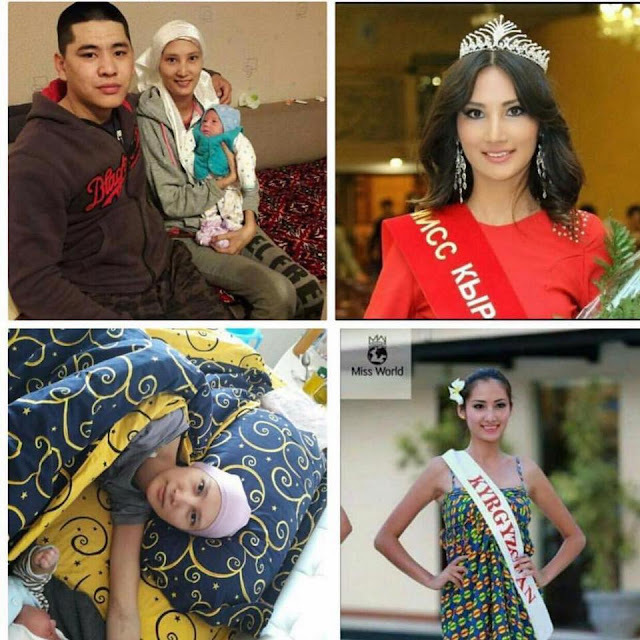 WE ALSO CALL ON THE MISS WORLD ORGANISATION TO PLEASE SHOW THEIR SUPPORT BY EITHER MAKING A DONATION OR SPREADING AWARENESS ABOUT THIS YOUNG WOMAN'S PLIGHT. THIS IS WHAT BEAUTY WITH A PURPOSE IS ALL ABOUT. We also applaud the 2013 delegates from Switzerland, Hong Kong, Iceland, and Latvia who have already openly supported their fellow contestant and those who have donated anonymously. My name is Zhibek. I am 21 years old. I am the mother of wonderful four-month baby Iman. We live in the city of Bishkek in the Kyrgyz Republic. I am writing this letter to ask for help. My story is short, time is not in my favor. It all began in September 2016, when the usual appointments being 7 months pregnant has become a nightmare. I was diagnosed with chondrosarcoma hipbone third degree. Atypical cancer for 21 years, which aggressively increased. I could not believe what was happening to me. Doctors recommend hold immediate caesarean section as soon as possible. I will not forget that moment of boundless joy when I saw my son and bitterness when we separated. 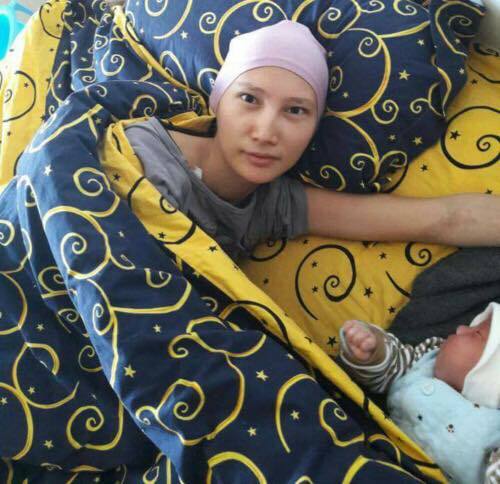 Iman was taken to intensive care, and I was taken to a cancer clinic. We were separated by 2 months. 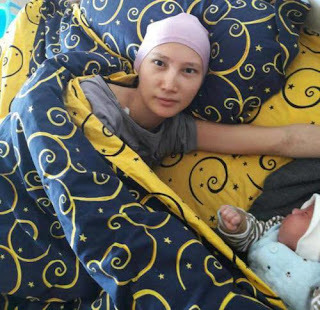 To say that these two months have been difficult to say nothing: the hospital, chemotherapy, mood swings, not very comforting predictions of doctors, increase in cancer, but every time I was waiting for a meeting with Iman. At each meeting, he kindles in me hope, gives me the strength and incentive to fight no matter what. Nicknames words can not describe how much I love this man, and how my heart aches at the thought that I leave him, he will be without his mom. Passed 2 courses of chemotherapy, but it was not effective, the tumor continues to grow. In the hope that overseas there is a possibility to recover, I was taken home to Turkey in the cancer clinic "Anodolu," but there it turned out that the tumor is very large, and the operation can not be done, the only option left for me the passage of proton therapy. Unfortunately, in Kyrgyzstan, there is no such possibility, and the closest viable option - proton therapy centers in Prague, Czech Republic. According to information provided by the Centre for the cost of therapy will be 80,000 euros.